You're invited to inspect Atlanta's finest and Georgia's first ABKA-accredited Kennel and Cattery! We are open for inspection at any time during office hours. No appointment necessary. 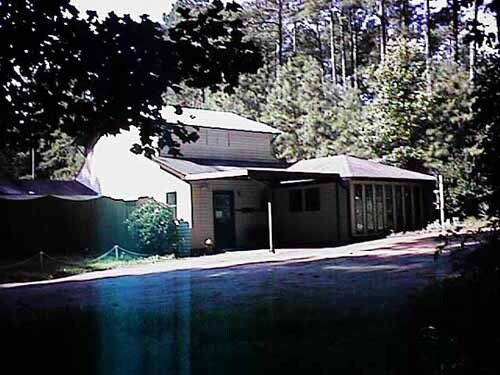 Our facility is located on 13 beautiful acres, away from traffic and noise. Brookside Kennel & Cattery, Inc. is family owned and operated. The Owner lives on the premises to make a safe, secure and comfortable "Home Away From Home" for our guests. The Owner-Operator, Renate, has many years of experience in the medical field and has been actively involved in dogs since 1984. Brookside is also the home of Best-in-Show winning "Eversleigh" Bernese Mountain Dogs. Our dogs are trained in agility, carting, conformation, obedience, with a little herding and tracking now and then. Telephone during business hours for reservations. Your pets are our guests to be pampered and catered to in our spacious indoor/outdoor runs. All of the runs are climate controlled with heat and air-conditioning. All dogs have access to their own private indoor area with decking, measuring 20 square feet. From 8 AM until sleeping time your pet has the option to go outside into it's individual outdoor area, which measures 15 feet long and 5 feet wide. All outside areas are partially covered, so your pets can enjoy shade or sunshine, always protected from sudden rainstorms. At night, of course, your pet is secure and safe indoors. Lots of natural light is provided by plenty of windows throughout the facility and soft music fills the air throughout the day. Fresh water is available to our canine guests at all times. We have fenced in areas for those who just won't go to the bathroom on concrete. These dogs are walked to special grass and gravel outdoor areas, partially covered, where all inhibitions disappear. In good weather they can spend time outside enjoying shade or sunshine. Be sure to look in on our unique Cattery, providing the best accommodations for our feline friends. Totally removed from the canine quarters, each kitty guest enjoys a safe, sanitary 2-level home, complete with window and windowsill, as well as the daily use of the Playroom for exercise. Each window faces our outdoor birdfeeder. Every home has a personal litter pan, fresh food and water at all times. Our cattery is completely self contained with heat, air conditioning, water and refrigerator. There's nothing like it anywhere in Georgia! Our Geriatric guests get extra attention too. Special anti-slip matting for the outdoor area and soft bedding for inside are provided for canine senior citizens. Fleece padding for our feline seniors. We also provide extra help and assistance to keep them happy and comfortable. For dogs - Nature's Recipe, Iams, Science Diet Growth/Maint./Senior, Purina Pro Plan, Kibbles & Bites, Pedigree Mealtime, Bil Jac dry/frozen, Moist & Meaty brand dry foods; Pedigree, Mity Dog, Alpo brand canned foods. For cats - Science Diet Maint./Light, Meow Mix, Friskies, Iams Kitten/Adult, 9 Lives, Happy Cat, One brand dry foods; Fancy Feast, 9 Lives, Whiskas, Science Diet brand canned foods. We always keep "people food" on hand for those with special needs. Our immaculate kitchen, where your pet's food is individually prepared, is equipped with it's own refrigerator, freezer and microwave oven. With our medical background we are able to administer medications, injections and treatment as prescribed by your veterinarian. All medications, including Heartworm preventative are administered under strict supervision. Please bring the medications and instructions on times and dosages. In some instances there may be additional charges for this service. A strict flea policy keeps our kennel flea free. Every pet is thoroughly checked for any signs of fleas upon arrival. A flea soak, utilizing a mild D-Limonene shampoo, is required if any suspicious signs of even one flea are spotted. Some guests prefer to go on solitary exploring excursions, sniffing where the others have been, much like a walk in the park. Our doggie guests are taken on an approximately 20 minute stroll/2x a day through our park-like acreage to our meadow, for some playtime. We use double collars to insure their safety; small dogs will be using a harness. Only dogs from the same household are taken out together. This popular service is available to both, cats and dogs. Dogs and cats engage in their favorite activities, one on one with one of our caretakers. Pets from the same household may play together, if requested. No pets from different households are ever put together. Playtime is about 10-15 minutes/2x a day. We adjust the playtime to the special needs of your pet. We will sit down with your pet and have a conversation and scratch its' ears, or we will go into our fenced in exercise area and throw balls, etc. We always keep a selection of cat and dog toys on hand. On Sundays our office is closed for business. We offer special pick up by appointment only. The bill does include Sunday night. This is offered for convenience to people who have important things to do on Monday. We offer bathing services for dogs and cats. Regular and medicated baths, Flea and Tick treatments, Nail clipping, and sanitary clips. We care for all kinds of guests. Under very special circumstances we have been known to board Pot Belly Pigs, Parrots and Fish, etc. (Although, we turned down the Mountain Lion). We will work with you to provide the necessities and request that you supply your own food and if necessary, bring their living quarters from home. All animals boarded at Brookside must be free of any contagious ailment, and we must be presented with proof of current inoculations by a licensed veterinarian. This proof can either be brought in, faxed, or called in by your veterinarian. Dogs must also be on a Heartworm Preventative program. In case of an emergency our local veterinarian is on call 24 hours. We use the Gwinnett Animal Hospital. Should your pet require treatment during normal daytime hours, we will make every effort to contact your personal veterinarian. And, most important for an animal away from home, lots of loving!